What country can preserve it’s liberties if their rulers are not warned from time to time that their people preserve the spirit of resistance? Let them take arms. The remedy is to set them right as to facts, pardon & pacify them. What signify a few lives lost in a century or two? The tree of liberty must be refreshed from time to time with the blood of patriots & tyrants. It is it’s natural manure. This is one of a series of genealogical pages on my ancestors who served in early American wars, including the Pequot War (1637–1638), King Philip’s War (1675–1676), King William’s War (1689–1698), Queen Anne’s War (1702–1713), Dummer’s War (1723–1726) and King George’s War (1744–1745), the French and Indian War (1754–1763), the American Revolution (1775–1781), and Shays’ Rebellion (1786–1787). Ancestors who belonged to the Ancient and Honorable Artillery Company of Massachusetts (1637– ) are also noted, and an additonal page presents a special essay on Lexington and Concord and the Nineteenth of April. At the end of the American Revolution the Massachusetts economy was in a precarious condition. Coastal merchants, under pressure from European creditors, began demanding payment of debts in specie from inland merchants and farmers who had traditionally paid many of their debts in produce. A call for the issuance of paper money was rejected, and many rural inhabitants (including many who had served in the Revolution just a few years before) soon found their property seized and found themselves in debtors’ prisons. The people agitated for reform, and then in 1786 finally resorted to armed resistance under the leadership of Capt. Daniel Shays of Pelham, shutting down several of the debtors’ courts across the Commonwealth. The climax of the Rebellion was an attempt to seize the state arsenal at Springfield. Government troops from Boston succeeded in dispersing the insurgents and the Rebellion collapsed over the following weeks. Public sympathy for the insurgents at the next election, however, swept the oppressive Bowdoin administration out of power in an overwhelming defeat. At a national level, the Rebellion convinced many people that a strong central government was needed, as advocated by the Federalist party which supported the adoption of the Constitution. Robert Gross’ volume In Debt to Shays: The Bicentennial of an Agrarian Rebellion , David Szatmary’s Shays’ Rebellion: The Making of an Agrarian Insurrection , and Leonard Richards’ Shays’s Rebellion: The American Revolution’s Final Battle are all excellent surveys of the causes and consequences of the Rebellion. 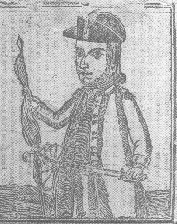 Lemuel Shattuck [123–27] provides an extensive account of Job Shattuck and his role in Shays’ Rebellion: “The five years immediately succeeding the close of the revolutionary war was a most gloomy and trying period in the history of Massachusetts. A great amount of personal service, of treasure, and of blood, had been expended in the war to gain independence; the soldiers who had served their country long and faithfully had returned home penniless; the continental paper money issued to pay continental debts had become worthless; the public credit was destroyed; the State, and every town in the State, were deeply in debt; and contracts between individuals, entered into on the basis of paper money, had to be executed on that of silver or its equivalent—then an article of extreme scarcity. These and other causes produced embarrassments unparalleled in the history of the country, and threatened universal bankruptcy and ruin. The fond anticipations of those who had pledged everything for liberty had not only not been realized, but a worse state of affairs was produced than had ever before existed. ‘The hearts of all were filled with dismay.’ At this juncture too a State tax of £140,000 was imposed in one year, equal to nearly $500,000, and payable in currency valued as silver—a tax enormously large at any period, and particularly at that time, when the State contained only about one third of its present inhabitants, and those were comparatively poor. To fulfil private contracts and satisfy public demands was to all inconvenient, and to many impossible; and the burdens fell with their most crushing weight upon farmers and mechanics. The consequence was a great multiplication of lawyers and expensive lawsuits, and the additional burdens they imposed; and attachment and sacrifice, by public sales of property, to discharge heavy, distressing executions. Many were reduced to utter destitution. The last acre of land, the last cow, and the last necessity of life, were often taken to satisfy the demands of the public tax-gatherer. Often, too, the body itself was incarcerated for unsatisfied debts. It was then thought by many persons that the measures of the government and of its executive officers were arbitrary, oppressive, and an ‘infringement of injured rights and privileges;’ as well as unwise, impolitic, and unnecessary. Town-meetings and county conventions were held, and earnest petitions from individuals and from public bodies, for relief from their ‘grievances’ as they were then called, went up to the Executive and to the Legislature, but with unsatisfactory results. “To the Honorable Justices of the Court of General Sessions of the Peace and the Court of Common Pleas for the County of Middlesex. “The voice of the people of this County is that the Court of General Sessions of the Peace and Court of Common Pleas, shall not enter this court-house until such time as the people shall have a redress of a number of grievances they labor under at present, which will be set forth in a petition or remonstrance to the next General Court. Job Shattuck. “Since writing the within, it is agreed that the Court of Sessions may open and adjourn to the last Tuesday of November next, without going into the court-house. Job Shattuck. “The Court was accordingly opened and adjourned. Having accomplished their object, and stayed the further issue of executions by this Court to be levied upon property and to increase the general distress, the people returned peaceably to their homes, to await the result of their petition to the General Court. Some plans were devised to prevent the adjourned session of the Court in November, at Cambridge, but they were never executed. This act, then, constituted Capt. Shattuck’s principal, if not his only public offence. “Two months and a half later, on the 28th of November, Oliver Prescott of Groton—from what cause does not appear—presented a paper to the Governor and Council, certifying that Job Shattuck, Oliver Parker, and Benjamin Page, of Groton, and Nathan Smith and John Kelsey (town clerk) of Shirley, ‘have been active in the late rebellion, and stirring up the people to oppose government, and are therefore dangerous persons, and pray a warrant may be issued to restrain them of their personal liberty.’ In consequence of this communication, an Executive warrant for their arrest was issued the same day to Aaron Brown and Wm. Scott. For their assistance a volunteer company of horsemen, under command of Col. Benjamin Hitchborn, left Boston the next day, Nov. 29th, and were joined in Concord by another party under Capt. Henry Woods of Pepperell, and proceeded immediately to Groton. The whole numbered about one hundred men. They searched Capt. Shattuck’s house, but did not succeed in finding him. They however took Parker and Page, and sent them to Boston jail. The search was renewed the next morning, but being again unsuccessful they were about to return, when twelve men under Sampson Reed of Boston went to the house of Samuel Gragg, where it was supposed Capt. Shattuck had spent the night, and by threats and the offer of money, ascertained that he had been there, but had just left. By tracks in a light snow, which had fallen the previous night, he was traced about two miles to the river in sight of his own house. Here, while hesitating whether to go home, he discovered the twelve men on horseback, in full speed, near him. He retreated to the river, and they pursued and overtook him. Some resistance having been made, F.C. Varnum of Boston gave Capt. Shattuck a terrible blow with his sword, making a wound about twelve inches long, diagonally, across his knee and leg, dividing the knee-pan into two parts. His own sword was not arrested from his strong muscular grasp until his pursuers had cut the fingers of the hand in which it was held nearly off. These acts effected his surrender and capture. “He was taken, delivered to Loammi Baldwin, sheriff of the county; and the next Day, Dec. 1st, was committed to prison in Boston, with Parker and Page. The governor gave directions to the jailer ‘not to suffer any person to speak to them or to have any communication with them, and not to permit them the use of pen, ink, or paper, without the special leave of the governor.’ He continued in jail over four months, during the winter and spring; his wounds in the meantime, owing to their severity, to bad accomodations and bad attendance, threatened the extinction of his life. They made him so lame for the remaining thirty-three years of his life as to require the use of crutches to assist his locomotion. On the 2d of April, 1787, he petitioned ‘to be admitted to bail,’ saying, ‘his wounds have never been healed, and his bodily health is greatly impaired for want of exercise and fresh air; and he is fearful of the consequences, if he is not soon liberated.’ On the back of this petition the selectmen of Groton, on the 3d of April, indorsed—‘We have no objection to the prayer of the within petition being granted, as we believe the public will not be injured thereby.’ He was liberated April 6th, under bonds of £200, with two sureties of £100 each, for his appearance at Court, and returned to his family in Groton. Gross, Robert A. (ed.). 1993. In Debt to Shays: The Bicentennial of an Agrarian Rebellion . Charlottesville: University Press of Virginia. Richards, Leonard L. 2002. Shays’s Rebellion: The American Revolution’s Final Battle . Philadelphia: University of Pennsylvania Press. Shattuck, Lemuel. 1855. Memorials of the Descendants of William Shattuck . Boston: Dutton and Wentworth. Szatmary, David P. 1980. Shays’ Rebellion: The Making of an Agrarian Insurrection . Amherst: University of Massachusetts Press.